Home / Blog / What are Qr codes? Why is Bonsai Jack using them? What are Qr codes? Why is Bonsai Jack using them? Here is an example of our new QR code which points to our chopsticking video on youtube. 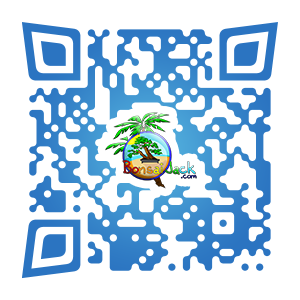 Qr is short for Quick Response ( since they can be read very quickly by a cell phone). It is a matrix barcode similar to the more well known UPC code found on nearly every single package sold everywhere in the world. It was first designed for the auto industry in Japan, where it was used to track vehicles during manufacturing. 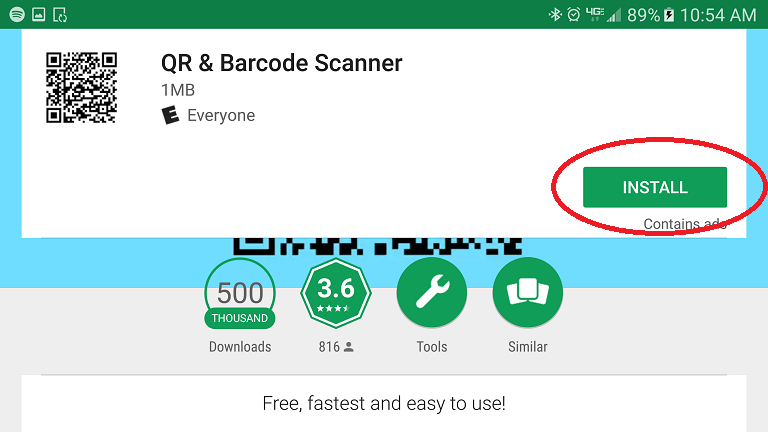 The QR code spread quickly outside of the automotive industry due to the surge in FREE QR scanners that come standard in most newer model smartphones and the greater storage capacity for data than a UPC code. 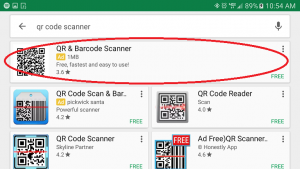 UPC codes can only store data horizontally, while QR code can do both horizontally and vertically allowing over 100 times more data to be transmitted in the same scan. To read a more complete and technical description of the QR code click HERE for the Wikipedia page. 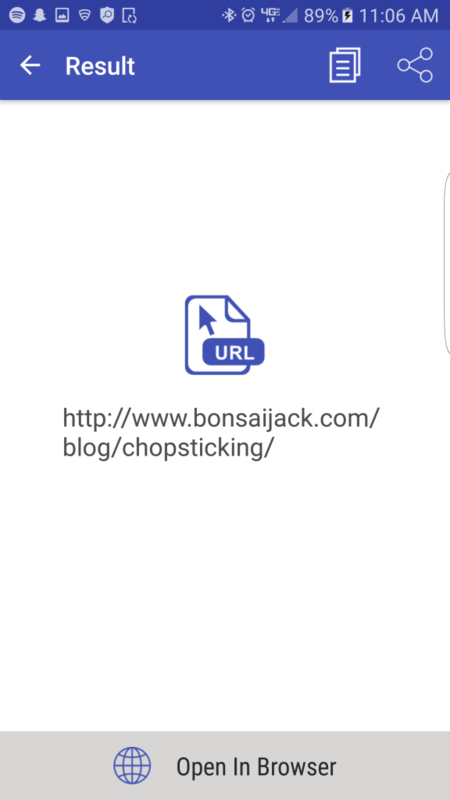 Why is Bonsai Jack using it? Why does it matter to me as a consumer? We here at Bonsai Jack's are always striving to improve the customer interaction and speed up the information delivery to all our customers. Using QR codes allows us to transmit much more information than writing it on a paper. You will no longer have to type in anything just scan our unique QR code and it will take you to a link that you can open and view instantly on your smart device (cell phone or tablet). 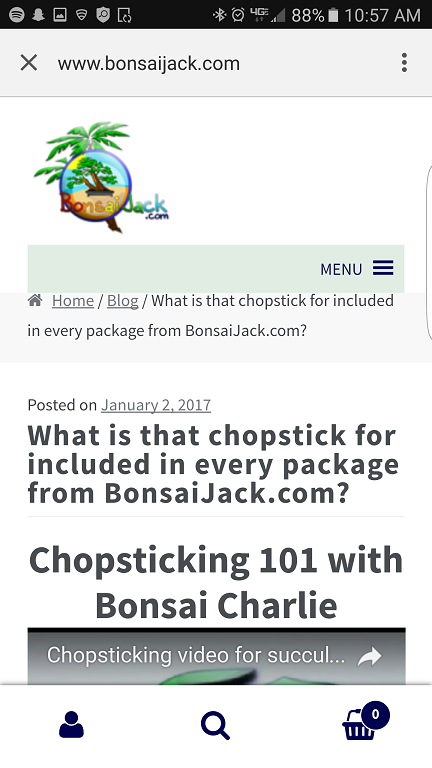 Imagine being able to scan your package from BonsaiJack.com and INSTANTLY viewing reviews or seeing answered questions about the product you ordered? The possibilities are endless! Ok ok I get it. But how the heck do I scan the Qr code?? Glad you asked 🙂 Here is a step by step tutorial on how to set everything up for FREE! 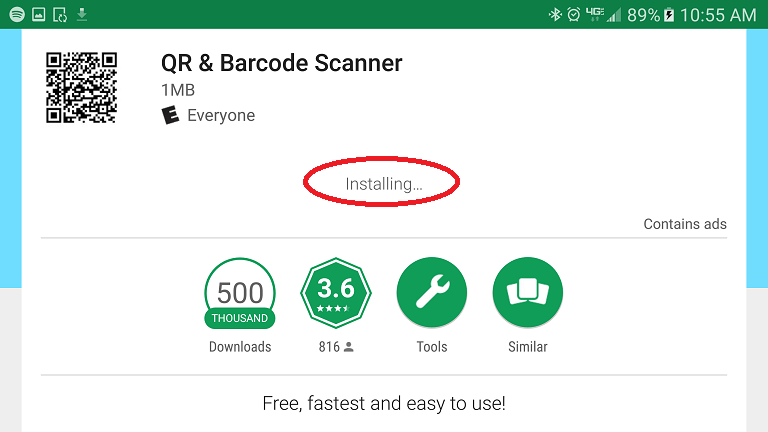 STEP 1: Download a QR Code Scanner. You can choose whichever you want, this is the one we used for tutorial purposes. Most new smartphones come with a barcode scanner as a default app so check with your service provider for more info. Step 2. 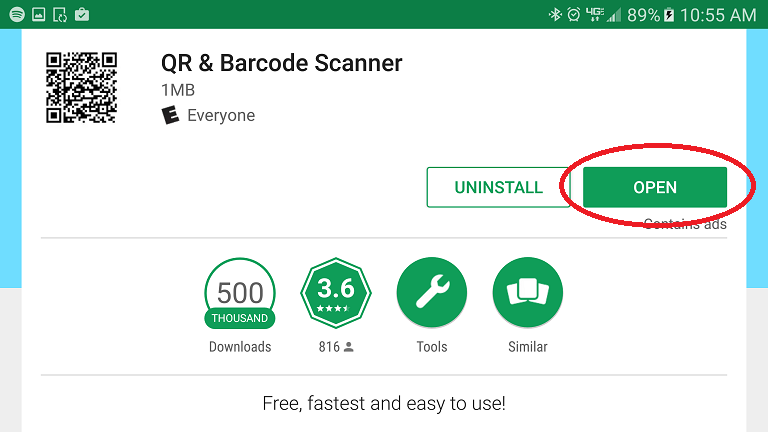 After you select your preferred scanner, click INSTALL to add the app. Step 3. 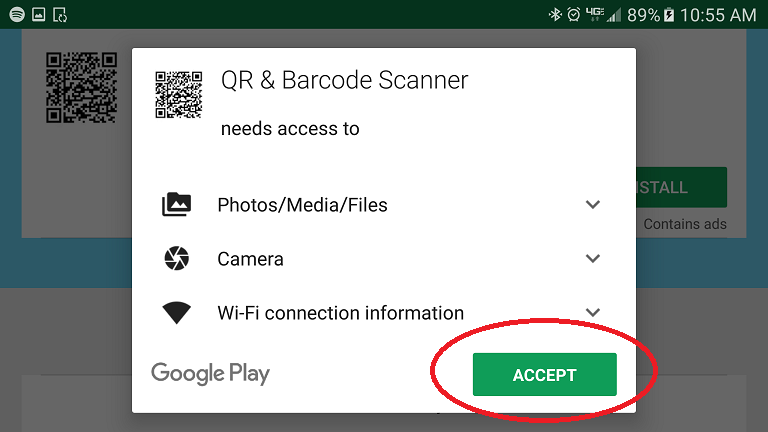 Click ACCEPT to download the app to your phone. Step 4. Wait for installation to begin and finish. Step 5. Click OPEN to activate the app and initialize the scanning application. Step 6. Once the app is open, the scanner automatically begins to detect any barcode within its field of view. Hold your camera steady wait for it to focus on the code your trying to read. Step 7. A new window will open telling you that the code has been accepted into the sytem and tells you where the code directs to. Click OPEN in BROWSER. Congratulations! 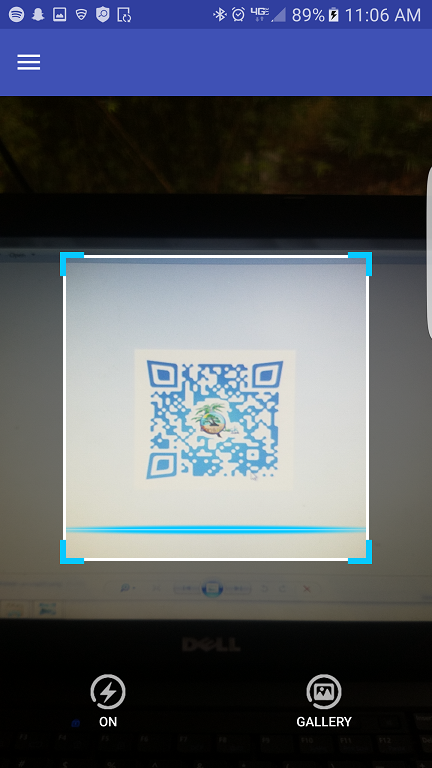 You have just scanned your first QR code! Was it hard or easy? Do you think this is a technology that you can get used to? Sound off in the comments below!